- Buy groceries when they are on sale, not when you need them. - Know the cost of your top 20 purchases. - Resolve to pay a certain price or a certain percentage off for your groceries. - Monitor seasonal savings and sales cycles. 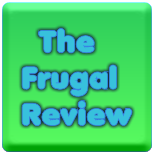 - Use websites like CouponMom.com, TheGroceryGame.com and BeCentsAble.net to find the bargains you will stockpile. Hey Dear, great post - so helpful. A variety of online discount deals is available here. I totally agree with your thoughts. you can look for amazing discount deals here. Fax online documents for free!